If the company that designed that roof vent knew more about squirrels, they would have designed that roof vent without the square corner. It was just sharp enough to allow a squirrel to wrap its jaws around, and from there to gnaw its way into the attic of this house in Austell. 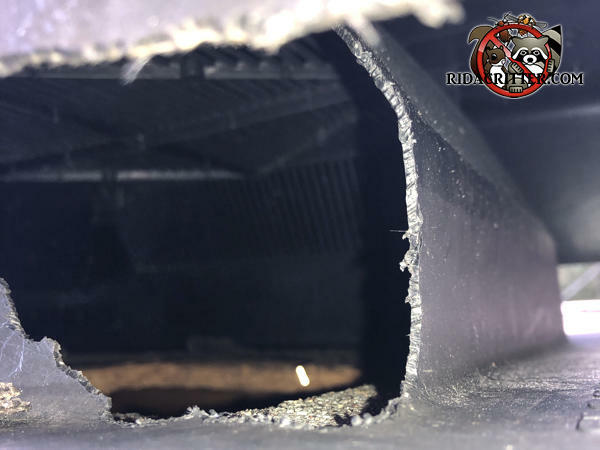 To learn more about squirrel removal in Metro Atlanta, please click here.